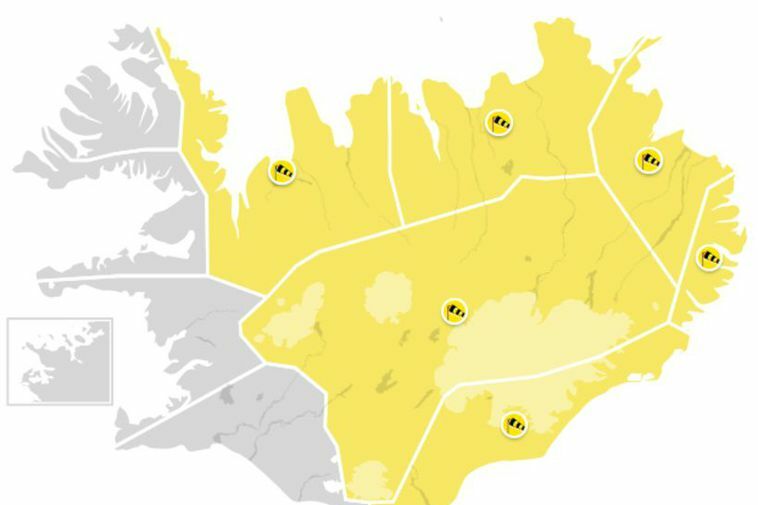 A yellow weather warning has been issued for most parts of Iceland today. Strong winds and heavy rain are in all most parts of the country. The weather will subside this afternoon when the area of low pressure moves away from the country and by tonight winds will have calmed down. Another area of low pressure is expected on Monday night.